The nationwide substitute teacher shortage has made it hard for schools and districts to find the right subs at the right time. However, there are several steps you can take to get the substitute teacher coverage you need. Even in the midst of the shortage, there are a number ways schools can improve fill rate. You can consider recruiting methods like partnering with credentialing schools/universities or alternative-route certification programs; getting creative on social media (with paid campaigns and/or organic tactics) and holding in-person hiring events can also help. Many schools also opt to supplement their internal pools with substitute teachers from an organization like Swing Education. Either way, finding the the right type of sub is also a key part of the equation, which is why it’s important to prioritize qualities like adaptability and confidence. 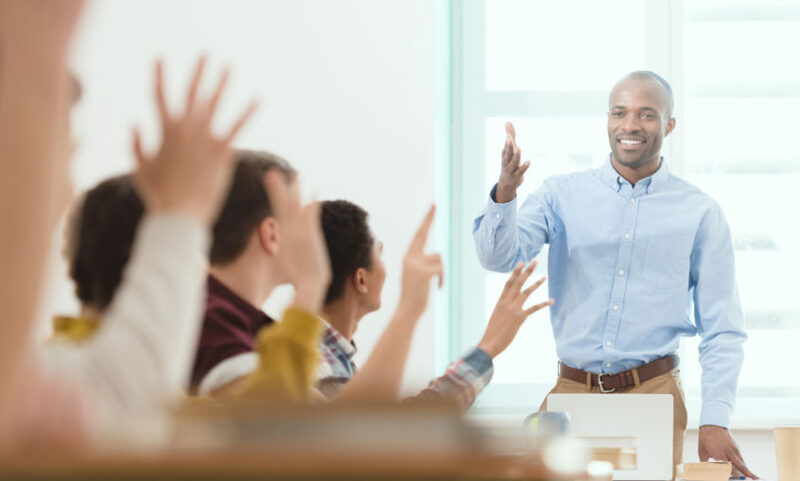 Once you’ve welcomed a new substitute teacher into your community, providing the right support will help them start strong and succeed in the classroom. Taking advantage of back-to-school planning periods is one way to do this, as is developing a program specifically for long-term teacher absences such as those due to maternity leave. Often, substitute teacher needs fluctuate throughout the year. For example, schools might see more teacher absences on Mondays and Fridays than during the middle of the week. The need for substitute teachers may also increase during the holiday and flu season, which is why it’s important to be prepared during those winter months. Professional development is also a big reason why teachers may miss class. And just like it’s important to stay one step ahead of flu-season absences, it’s also critical to plan ahead to ensure adequate substitute teacher coverage for PD days. In addition to recruiting and supporting good substitute teachers, retaining your existing subs can go a long way toward easing the effects of the teacher shortage. A warm welcome and the right resources are a big part of any successful retention efforts.